GOSFORD QUARRIES ARE THE LARGEST SANDSTONE QUARRY RESOURCE AND SUPPLIER IN AUSTRALIA, WITH OUR DISTRIBUTION NETWORK SPANNING COAST TO COAST. OUR EIGHT QUARRIES AND STATE OF THE ART TECHNOLOGIES ALLOW US TO OFFER OUR CUSTOMERS UNPARALLELED QUALITY AND A VARIETY OF SANDSTONE SOLUTIONS INCLUDING COLOURS, FINISHES AND RARE STONE FOR RESTORATIONS, WHICH ONLY GOSFORD QUARRIES HAS THE CAPABILITY AND EXPERTISE TO SALVAGE. IT'S NO WONDER WE'RE KNOWN AS 'THE SANDSTONE PEOPLE'. The new Gosford Quarries offers some of the most diverse sandstone varieties in Australia today. It’s our mission to showcase how Australian sandstone is as relevant today as it was some one hundred and fifty years ago. Gosford Quarries (GQ) has over 100 years of experience in the stonemasonry industry. 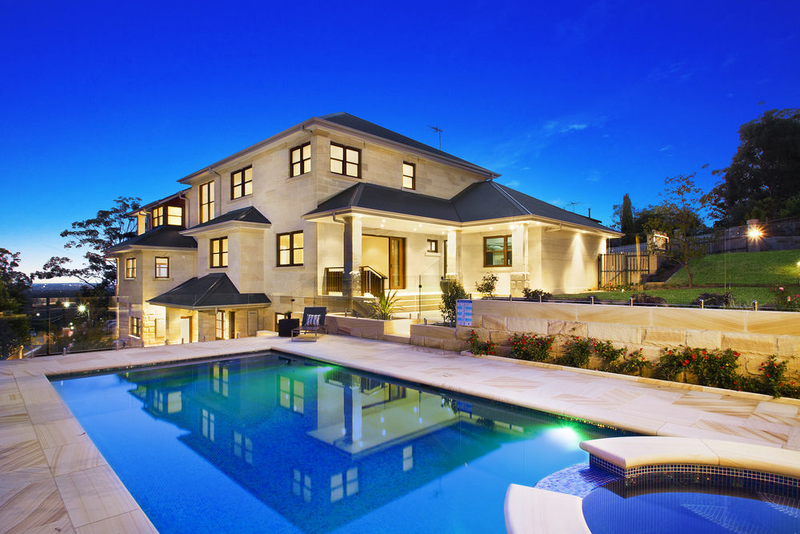 Natural Australian sandstone is one of the most sought after building materials in the country. Known for its longevity and aesthetic appeal, this natural product is heavily featured in heritage buildings found in Sydney, Brisbane and Melbourne. Ingrained in our history is a love of this natural material; this is seen across cities and country towns alike- there is no place in Australia that doesn’t feature this iconic stone. GQ supplies 100% Australian sandstone. We do not import any of our products and deal exclusively with nine of Australia’s most prestigious quarries. This product instantly adds value to your property as well as a desirable finish. The quality of anything constructed with this beautiful natural stone is incomparable to other materials. The strength and unique appearance adds to its value. Our skilled banker stonemasons and state-of-the-art technology can supply the most exquisite finishes to this natural product, delivering it to many locations across Sydney, Melbourne and Brisbane. With our extensive experience within the industry we are constantly developing and updating our processing techniques to protect the integrity of the stone. GQ consistently produces the highest quality raw materials available within Australia which aligns with our ethos of 'Quality. Honesty. Efficiency'. The network of quarries we have access to ensure that GQ offers the largest range of colours available. Along with our comprehensive range of colours is our variety of finishes. We offer bullnosed, rock faced, diamond sawn, hydra split, chamfered, sparrow pecked, gang sawn, chiselled and many other custom finishes to our diverse clientele. There is no design too complicated and no finish we cannot create, that is why we are Australia’s most trusted sandstone suppliers. Our ability to process this material means that we can provide high quality cladding, boulder walling, garden supplies and solid blocks without impacting the raw beauty of the stone. Our collaboration with Sydney University has allowed us to pass on our in depth knowledge of our industry and limitations of the stone to future architects, designers and CNC robotic technicians who will continue the legacy of innovation in the stone industry. Stereotomy: The collaboration between Gosford Quarries and University Of Sydney. Stereotomy: The collaboration between Gosford Quarries and University Of Sydney. Advanced research focusing on construction and maintenance of stone architecture by adapting robotic abrasive - wire cutting processes for Australian sandstone. GQ has established a reputation as the government and local community’s go-to sandstone suppliers for major restoration projects. We have partnered with the Sydney, Canberra and Melbourne’s Local governments on numerous occasions to assist with important heritage restorations Such as The Australian War memorial, St Mary’s Cathedral, Central Station (Sydney), Town Hall (Sydney) and the Parliament of Victoria. GQ has supplied cladding, pavers , intricately profiled and hand carved heritage pieces and more to assist in the complete restoration of some of our country’s most iconic landmarks. No other Sandstone Supplier is more trusted, capable or reliable for heritage restoration work or detailed profiling projects. GQ offers dimension cut capping and other stock items ideal for landscaping. Whether you require retaining wall supplies or other landscaping products such as crushed rock, Landscaping logs, Random Rock, and paving, GQ have the solutions. GQ is Blacktown Spec certified and consistently tests their products and materials to ensure the highest benchmark of quality is always met. GQ is located across Sydney, Brisbane and Melbourne. Locate your local showroom or sales yard and meet the experts behind the leaders in sandstone supplies. Our level of service stretches beyond the showroom doors. From the design concept to the delivery of your sandstone supplies, GQ offers you assistance and advice. Contact the leading sandstone suppliers today and discover the difference of 100 years of stonemason, processing and supply experience.